I’m glad that Taiwan is getting the fanfare it deserves right now especially with Filipinos. It wasn’t that much of a popular destination until recently due to relaxation of visa applications. I have found out how this is one of the cheaper and easier countries to visit in East Asia, despite the language barrier. At the time of my trip, a travel visa or a travel certificate was required for Pinoys. 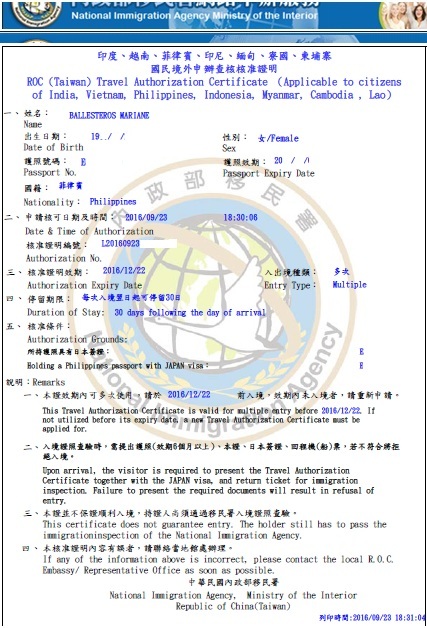 The Taiwan Travel Certificate has long been in effect and is recommended by many instead of applying for the actual travel visa. In my case, I decided to apply for a Japan visa which is in the list of acceptable countries by TECO and applied for the certificate after. I believe this is only applicable for Filipinos and other folks from South East Asia and India, I created a guide and FAQ in case you need it. I mostly used the websites http://www.go2taiwan.net/index.php and http://eng.taiwan.net.tw/ to get a feel of each counties and provinces. 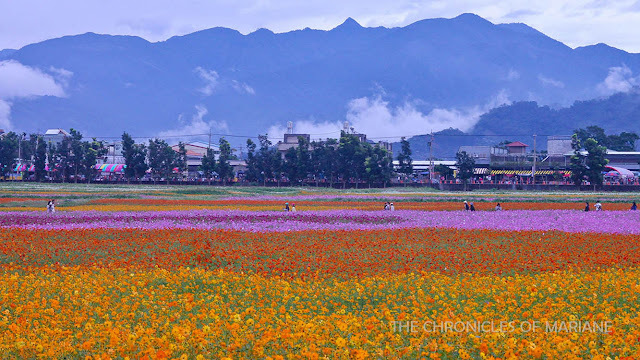 I listed some of my must-visits such as the flower festival in Taichung, Tainan, Yehliu and Jiufen. Aside from that, I only did minimal planning and mostly relied on Tripadvisor for more suggestions as soon as I arrived in the country. I also booked lodging the night before and my train tickets the same day. No problems encountered whatsoever. This has been one of my hassle-free solo travels so far. I couldn’t remember any issues or problems really, that I sometimes was creating my own problems just so that I could challenge myself (like those times I woke up late to miss my train and had to think of how I could get around that). But that was it, everyone was so helpful, most places has pictures of the food, transportation was affordable and reliable. I have never taken the taxi in Taiwan, because there was never an instance that I felt I had to. I rarely had problems with directions – this was because I was using Google Maps the whole time. Everything’s in there, directions that involves buses and trains, how much the fare was, which bus stop to look for. This was the only app I used and never had the need to download any other. If you are strict with your time that you need to know the buses every move, like what stops does this bus have, how many time till it arrives in my location, how many stops till my destination, these are some of the websites I found that have these comprehensive info. 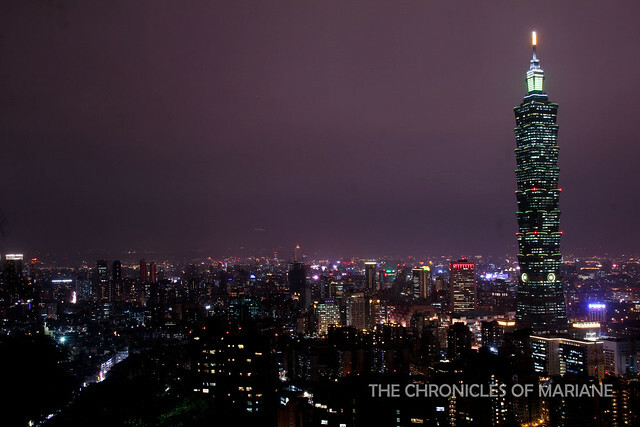 As of writing, there are only two cities with subways – Taipei and Kaohsiung. Different cities in Taiwan (except the South like Kenting) are connected by two types of railway, the high speed (THSR –the bullet train) and TRA. I always went with TRA as they have more lines and is cheaper, some prefer THSR because of the speed and better facilities. I suppose it would be easier to have a car booked if you will be traveling with the family or a group of friends, but then, it would be a bit pricier and you miss the chance experience train travel. You can also rent bikes and motorbikes if you prefer this instead of walking or taking the bus. Their subways are uber organized, very prompt, has easy to understand maps, has charging stations for gadgets, free umbrellas in case it rains (just bring them back to any station after using) and polite, rule-abiding citizens. I absolutely love it! There are also a lot cards that you can use like debit cards, I chose Easycard because it is the most popular. I had no problems with it except in Kaohsiung wherein for some reason I couldn’t top up the value in any establishments, but you can use it in subways, train, buses and even at tourist sites. There is a 10% discount when you use it to pay for your TRA fare so it’s very handy! Buses don’t give out change so you have to give the exact fare or else, bye bye to your moolah. If you are worried about connecting to the World Wide Web during your trip, Taiwan has also got this covered. There are a LOT of places around the country that provide wi-fi, so I see no point of buying a travelers sim card especially if you are only staying for a couple of days. 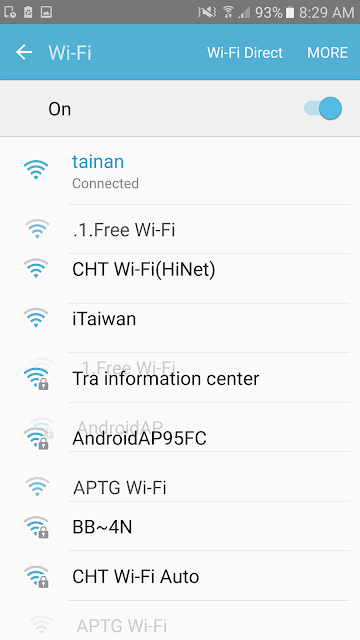 The easiest service to connect to is called iTaiwan. I only registered as soon as I arrived in the airport, I only had to provide my passport number and name. Most cities that I have been to has iTaiwan and I was able to connect around train/subway stations, bus stops and places with heavy tourist traffic. I found out later on that as I veer away from these places, I lose my wi-fi service (duh! ), so I decided to buy a sim card for those just-in-case scenarios. Lucky for me, the mobile store I went to in Taichung has a receptionist that speaks English so I was able to weigh out different options. I eventually settled with Taiwan Mobile as it has the most affordable plan that suited my needs, a 1GB 4G mobile plan for only 300 NTD. I didn’t need an unlimited plan which is more expensive (there are plans that range about 600-1000 NTD for a week use). Note: I had my money exchanged in the Philippines because I don’t like to be hassled of finding the best money changer. In the Philippines, BDO has the best rates at the time, but BPI had NTD on hand and no reservations whatsoever was needed so I was able to get fresh NTD the day of my flight to Taiwan. I was able to check out some money changers around NAIA and they had competitive rates as well. The Itinerary and Budget file can be downloaded here. I stayed at Taipei for the first two days as I wanted to get used to Taiwan’s daily grind and to also plan for what I will do for the rest of the trip. Luckily for me, Taiwan has a pretty straightforward transportation system and most places that I wanted to see where located close to each other. I went to districts that were still within the city limits and reserved day trips to New Taipei for the latter part of the trip. The city is still packed with energy until midnight (night markets are open until 12-2am) so if you wake up early, you would surely cover a lot of ground. My favorite place in the city is Xiangshan or Elephant Mountain, all day long providing magnificent views of Taipei. It is also your quickest nature retreat if you long to be surrounded with trees and fresh air. If you’re looking for a quick workout, count the hike as your cardio, if you’re looking to strength train there are also monkey bars at the peak. Located three hours from Taipei, I went to Taichung with the sole purpose of seeing the colorful Taichung Flower Festival. I never really liked flowers but I found a new appreciation for them here. It was refreshing to see different species and colors. It was certainly a photographer’s haven. 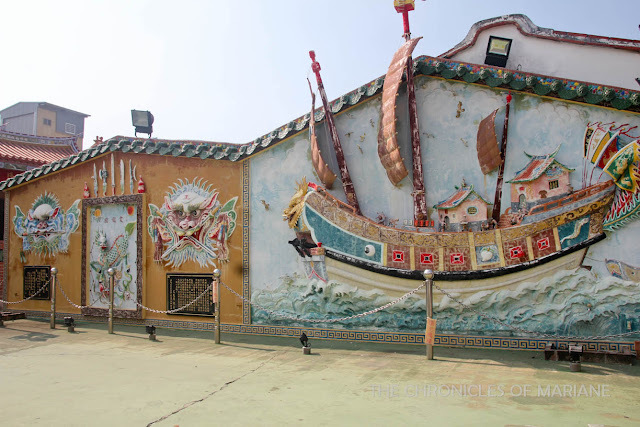 Of course, I didn’t miss going to Rainbow Village, a tourist spot that is almost synonymous to Taichung. It is filled with cute murals that kids and kids at heart would surely love. The county also has a nice collection of street art and charming cafés that makes up for a unique vibe and chill atmosphere. As I was already in Taichung, I decided to spend an extra day around one of Nantou amazing landmarks. Frankly, there were many too choose from – Alishan, one of the prominent mountains in the country and Cingjing Farm, famous for its grasslands, European atmosphere and hordes of sheep. 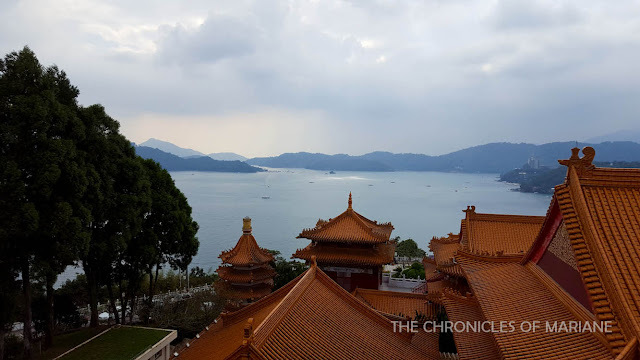 I settled with the most accessible spot for a day trip, Sun Moon Lake, an idyllic aboriginal town located at the heart of the country. I had fun in Tainan, even though I was only there for a short time. Anping District has some impressive historical sites and the city itself has some wonderful colonial architecture dating back from the Japanese occupation. In the afternoon, I busied myself hunting for street art scattered around the city, felt like I was on a treasure hunt or something. Feeling drained from the unexpected heat in Kaohsiung (did I even leave Manila? ), I admit I decided to stay along air conditioned places and just bummed around. Some of the places I originally planned to see I had to forego as I was just too lazy. My first day was spent at the Lotus Lake and Cijin Island, which did bring a unique flavor to the trip. Yes, I have made it to the south! 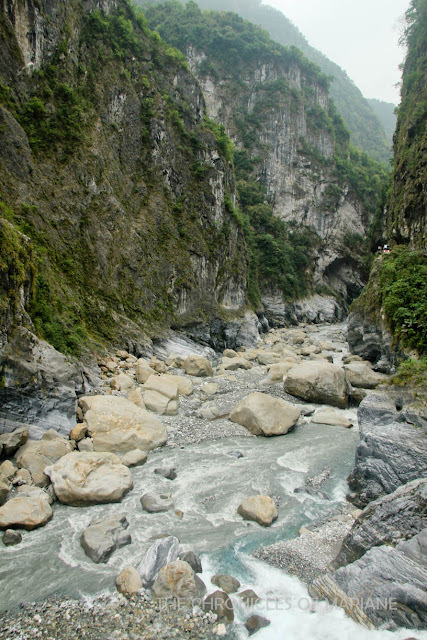 One of the highlights of the trip was spent in Hualien, specifically at Taroko Gorge National Park, pronounced by locals as Tailuge. I have known about this place before my flight and I hate to admit, I was initially not that impressed by the pictures I saw online, I even thought of not going. But in the end, I went and I’m happy I made the right decision. Astounding scenery, natural landscapes and easy yet enjoyable hiking trails. Couldn’t ask for more. 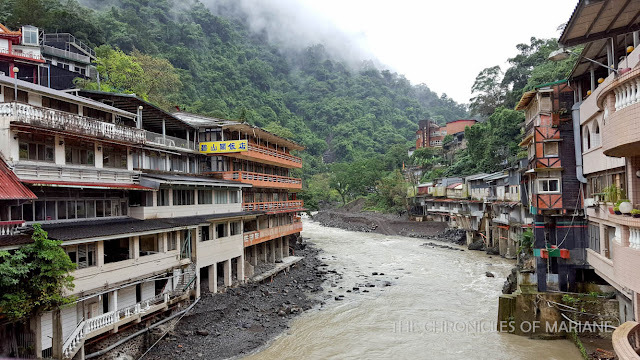 I wanted Qingshui Cliff to be part of this trip, tourists that go to Taroko often go here by hired car or taxi, and of course being the intrepid solo traveler, I preferred to look for the “backpacker” option. I did it with the help of trains but it ate up the rest of my day. Still, what a wonderful view that was. 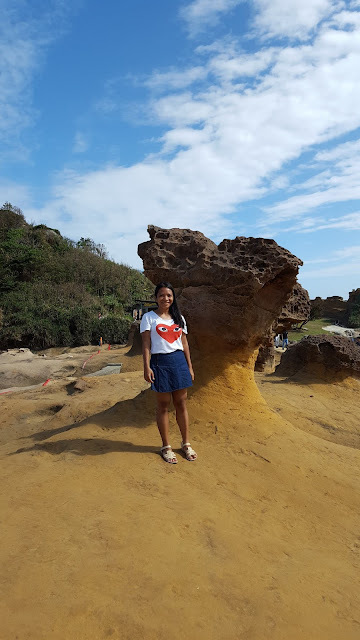 If you like the outdoors and are looking for day hikes that are doable from Taipei, I would highly suggest going up Taoyuan Valley and either start from Dali or Daxi. Rewarding views of Taiwan’s east coast will unfold before your eyes, trust me! There are lots of amazing nature walks you could try around New Taipei. One of the most visited is Yehliu Geopark boasting hundreds of unique rock formations. 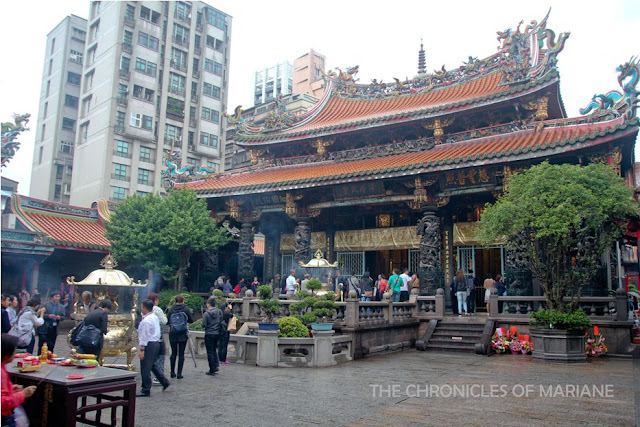 There's also the less known Heping Island in Keelung, I partnered this with a visit to Miakou Night Market. As they say, save the best for last. Most of the highlights of this trip were in New Taipei. Still reachable by MRT, Danshui is a good place to relax on a weekend, out of the hustle bustle of the city. 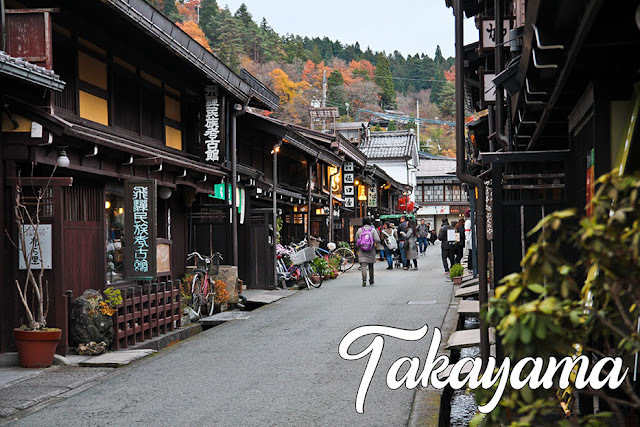 Despite the teeming visitors, you will like strolling around old commercial streets and old buildings. The sunsets here are a must too! 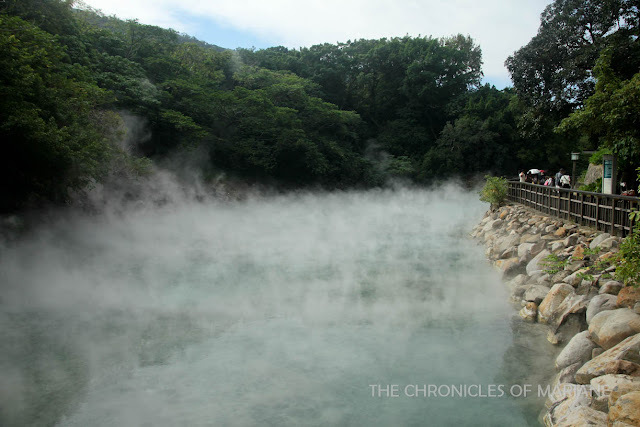 Beitou is a good choice too if you’re up for a relaxing dip in natural hot springs. An exciting adventure awaits at Yangmingshan National Park. You can reach Mount Qixing peak from Xiaoyoukeng in an hour (or less), see interesting volcanic geology like fumaroles, frolic around the vast grasslands of Qiangtanggang, and unwind at Lengshuikeng’s free hot springs. I had another hectic day exploring three different towns in a day! I started doing the invigorating Sandiaoling Waterfall Hike to see the three beautiful falls. In the afternoon, I was at Shifen walking around its ancient commercial district and waterfall. My rainy evening was spent at Jiufen, another mining town known for its unique architecture and markets. For my last day, I headed to the rustic town of Wulai to see another waterfall, try more street food, learn more about the aboriginal culture and look for reel hot springs. I also dropped by Bitan Scenic Area for some more foodie finds. These were some places that I considered but either had no time see or the weather did not permit me to push through. Taitung – another country in the East Coast that has amazing beaches? Green Island – a nice retreat located South. I’m so happy with this trip because I only managed to spend the right amount, I went to all these fantastic places, met awesome people along the way, enjoyed good food and had no complaints that I could remember even though I couldn’t speak Chinese. I would go ahead and recommend it to people who are reluctant to go to East Asia because of the language barrier. Also, to travelers who are in a tight budget that would like to see their money go a long way. And maybe to people out there reluctant to go on their first solo trip. I’m really hoping I’d be able to score cheap plane tickets again so that I could visit during spring to see those lovely cherry blossoms *crossing my fingers..
Hi there :) I enjoyed Yangmingshan and Jiufen. 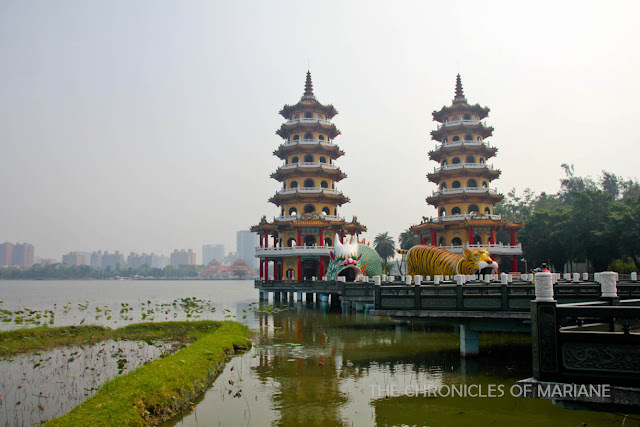 Must not be missed and best for travelers who prefer to stay around Taipei. I also liked Tainan very laid back and lots interesting things to do. Thanks for sharing your itinerary and expenses. Will refer to this if and when I get to go back to Taiwan! Woohoo! Thanks a lot for sharing your itinerary and especially the highlights of your trip. Just wanna ask though, are the other waterfalls in Wulai really worth the trouble? 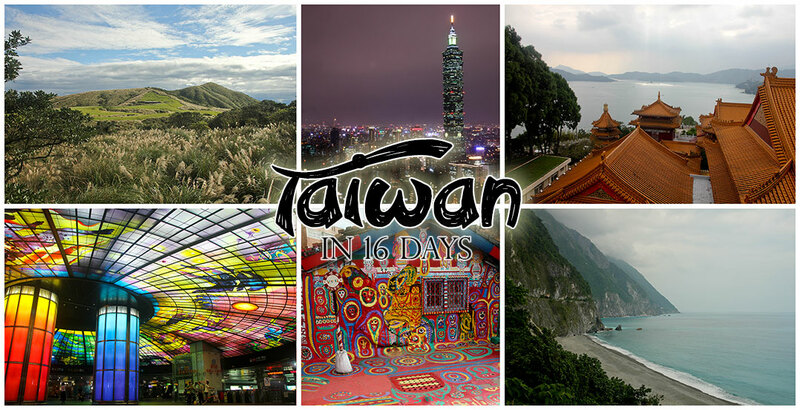 I'm going to Taiwan this April and will be using your itinerary as a rough guide for my 14-day trip. This is fantastic info!! I am going to Taiwan very soon as a female solo traveler (in my 40’s)and was wondering if you felt safe on your hikes? Were you alone or were there other people also hiking? Generally speaking, I know Taiwan is safe, but just curious how you felt while on your hikes. Great, thank-you!!! Your itinerary has really helped give me some direction on where to go in Taiwan.